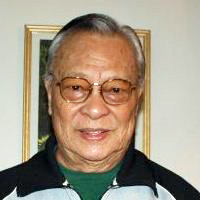 Angel O. Rue, 91, of Jersey City, and formerly of the Philippines, entered into eternal rest while surrounded by his loving family, on Monday, March 25, 2019. A visitation for Angel will take place on Thursday, March 28, 2019, from 5:00 PM to 9:00 PM, and on Friday, March 29, 2019, from 4:00 PM to 9:00 PM. A Funeral Mass will be held on Friday, March 30, 2019, 10:00 AM at St. Aedan's Church, Jersey City. Interment will follow at Holy Cross Cemetery, North Arlington.